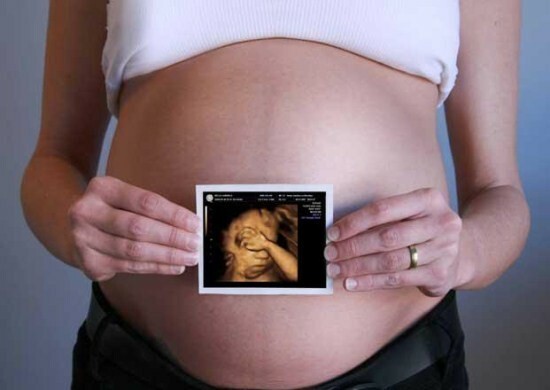 As many of you know, ultrasound is a mandatory component in the examination during pregnancy. Doing it five times: in case of suspected pregnancy (in the first week), week 11-13, 16-18, 22-24, and 32-34 week. 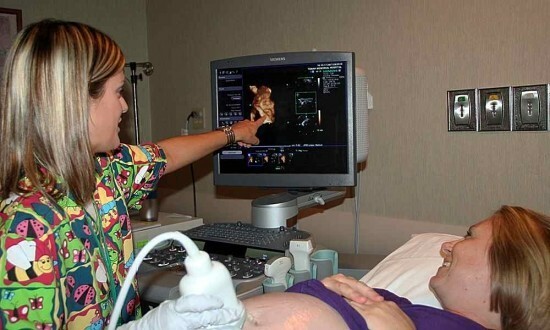 Ultrasound is the classical (two-dimensional), three-dimensional (3d) ultrasound in four dimensions. Abroad three-dimensional echography is used for more than 20 years, in Russia, this method has spread only a few years ago. However, still suffers from disputes between experts about whether it really needed an improved method for the ultrasound. The fact that conventional ultrasound does not detect structural fetal anomalies, however, not all medical centers are equipped with 3d installation. Therefore, for 3D ultrasound, there are strict indications for which without this study is not enough. Defects of the anterior abdominal wall. Assessment of the external genitalia. For optimal diagnosis doing both methods, the first has a higher diagnostic value, and the second is simple to understand patients. It is possible to make 3D survey without any indications on it, just need to go to the medical center where there is such a setting. Many parents want to get a memorable photo of your baby in the womb or just to make sure that the fetus develops properly. In both cases, this can be achieved by using 3d ultrasound. «What time to do a 3d scan and is this harmful?» — this question interests many new moms. When the future mother is to make a 3D ultrasound in the direction of a gynecologist, the specific recommendations here. Average for first pregnancy in the period from 12 to 32 week and 34 week with second and subsequent pregnancies. Depends what the purpose of pregnant. The detection of malformations and pathology of pregnancy are equally informative at any time, but if you need to do video or photography, 3d ultrasound better place after 20 weeks (ideally at 24 weeks) when the fetus is already more formed. The desire of parents to conduct a 3D ultrasound is clear, you can get a memorable photo or video, for the first time to meet baby. But it is better to consult a doctor in the antenatal clinic on the subject of what the term regular ultrasound and is it really necessary and bad 3d study in your case. From all parts of the human body, only the face provides immediate recognition. It is therefore not surprising that the results are impressive 3d ultrasound and the patient and physician. 2d also allows you to better study the face of the fetus, but has no such clarity, as three-dimensional reconstruction. For an unprepared audience: doctors who are not specialists in the field of ultrasound diagnosis, patients, their relatives demonstration of two-dimensional ultrasound does not give such effect. Three-dimensional study make images of almost photographic quality, which is easily perceived by any person. This quality is invaluable from the point of view of pathology of pregnancy, and, if necessary, beliefs of pregnant women in their absence. On account of how it is harmful during pregnancy the opinions of experts differ on this issue. Abroad, doctors don’t hail the 3D ultrasound when he has no evidence and it is better to do the usual. The question arises: if two-dimensional ultrasound is not harmful, then why do bad three-dimensional scanning? The fact that conventional ultrasound takes 15 minutes, while a study in 3D is up to 50 minutes. Therefore, the effect of ultrasonic waves on the fetus increases. Although ULTRASONIC waves act on the fetus, only 1% of the total time, and the rest of the time just absorb pulses which will be little consequence for the future of man no one probably can not say. American Association against the use of 3D ultrasound during pregnancy without urgent need, and especially the use of the method for obtaining photographic images or video «in memory». Because the principle of ultrasound professionals around the world says: as little as possible. Not to do ultrasound during pregnancy is also harmful: possible to overlook the anomalies of development and other unpleasant moments. Besides conventional ultrasound cope with the diagnosis is not worse (except for special cases listed above) and proven not harmful to the unborn baby if you use it within the established norms. In Russia, restrictions and prohibitions on holding 3d no. The parents themselves should make the decision about whether this is necessary unless there is clinical evidence. Despite the fact that in the near future are anticipated replacement equipment two-dimensional to three-dimensional (especially in public hospitals), before 3D ultrasound is more than the future. It is increasingly being used in clinical practice as a complementary survey technique. The doctors realize how invaluable having this type of research in the discussion of its results with clients and other professionals. Perhaps, over time, 3D ultrasound will get a new scope and better to enter into clinical practice. In what period an ultrasound detects pregnancy?